On Wednesday, November 5th a small ceremony was held at the San Pedro Police Station to present Police Constable (PC) 679 Victor Tush with the Officer of the Month award for October. 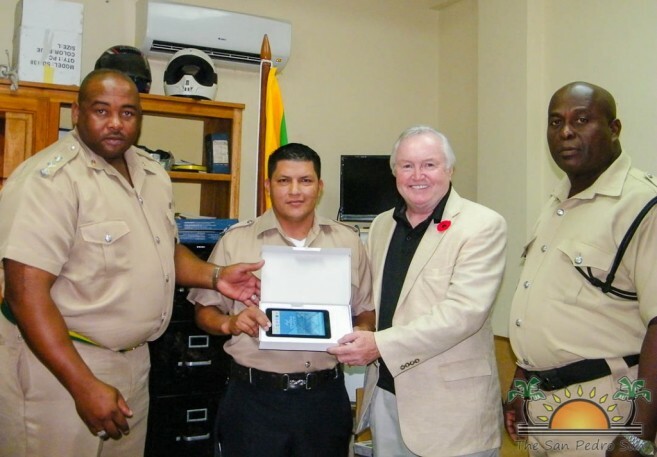 Officer in Charge of Police Joachim Sabal and Deputy of Police Henry Jemmott presented PC Tush with several gifts and a plaque displaying his photo as part of his recognition for his hard work. Originally from San Roman Village, Stann Creek, PC Tush has been part of the San Pedro Police Department since March 2014, and is currently in charge of the Quick Response Team (QRT). According to Jemmott, Tush is a dedicated and hardworking police officer. “Since my arrival, I have noticed that PC Tush is a strong leader. He has always been in the running for the officer of the month award, but this month he surpassed all the other officers and proved that he was truly worthy of this award. Not only did he conduct the highest number of arrests but he also had the highest level of drug interdiction,” said Jemmott. PC Tosh is a committed officer that is willing to work at any time of the day. “PC Tush is dependable. He has never complained about extra work given to him. He is one of the persons that I can rely on and call at any time. 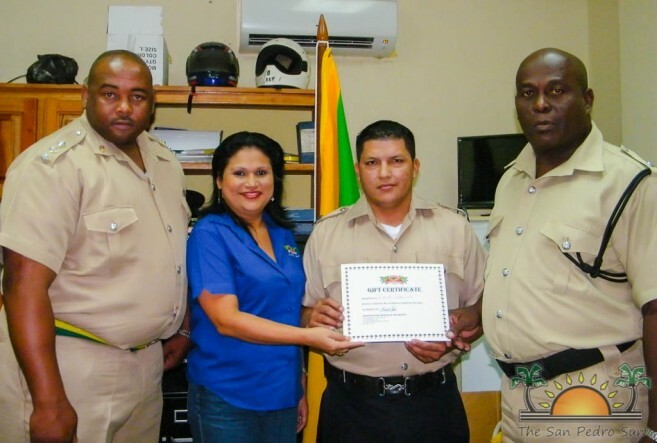 He has worked with the QRT to improve their relationship with the community. For these and many more reasons he deserves the award,” said Jemmott. 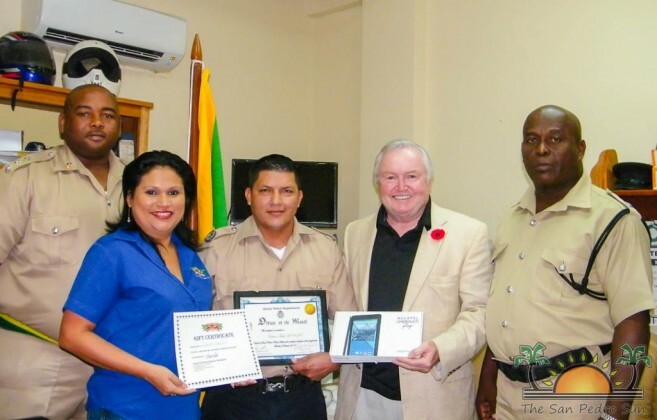 For his hard work and dedication, PC Tush received a gift certificate from Fido’s Restaurant and Bar, an android tablet courtesy of John Kennedy of All Things Belize Ltd., $100 cash courtesy of the San Pedro Police Station and a certificate of recognition. PC Tush is honored by the distinction and looks forward to upholding the high standards he believes in. “This award has only motivated me more to work harder and make my superiors proud. I am here to work for the people and keep them safe. I would like to thank my superiors at the San Pedro Police Department, my QRT and my family for all the support they have given me,” said PC Tush.Congratulations PC Tush!